David Steenwyk is co-founder and President of Macatawa Technologies. While he has always had an interest in technology, his passion for it can be traced back to his freshman year of college while studying Mechanical Engineering. David received a Bachelor of Arts in Telecommunication with a specialization in Information Technology from Michigan State University in 2002. A problem solver by nature, he loves getting to know our clients and helping their organizations grow and improve through technology solutions. As a small business owner, he believes that he has a unique perspective when it comes to solving problems that companies face today. He has a strong understanding of the fundamentals of business where he loves combining that knowledge of technology to solve problems and help our clients succeed. David currently resides in Holland with his wife, and three children. David enjoys fly fishing, hunting and hiking and just about anything outdoors. 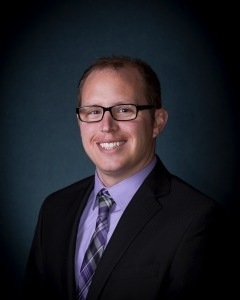 He has served as a Board Member for the Holland Young Professionals, Deacon for Embody Christ Fellowship, is active in the Holland Rotary Club, and was recently nominated “Member of the Year” for HTG Peer Groups, a peer group consisting of over 300 of the top IT service companies in the world. Kevin is the co-owner, founding member and project manager. He oversees all day-to-day operations. Kevin would be the person that you would want to be stuck on an island with. He can handle any situation and will find a solution to it as he is a tinkerer. He has been working with Macatawa Technologies since the start of the business and has been in the industry since about 1998 (although his degree is in Philosophy and Religion). His favorite part about his job is learning about our clients’ industry that they are in and learning how they do what they do. Kevin lives in Holland with his wife and four children. He is also the founding board member of a non-profit organization, 3Sixty, focused on neighborhood improvement. In his time off, his favorite place to relax is somewhere quiet in a hammock hung between two trees. Steve specializes in implementing technology with an understanding of how that technology can fill a business’ needs. 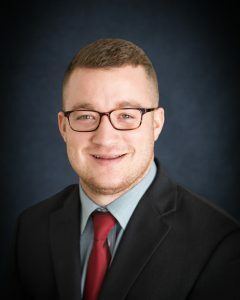 He has a Bachelor’s of Science in Information Systems from Grand Valley State University along with being CompTIA Security+ certified and has Switching and Cryptographic Systems training from being in the U.S. Air Force for 4 years. Steve likes to start his day with a cup of coffee before tackling a challenging job that has been scheduled for the day. He and his wife reside in Holland with his two cats. Steve enjoys working on his 1922 Model T Roadster that once belonged to his grandfather. He has also lived in 13 different places, including Frankfurt, Germany and San Francisco, CA. Gabe has been a part of the team since the end of 2017. He has over 3 years of experience in sales and previously worked for a company that sold web platforms that streamlined employee recognition and engagement activities to large organizations. 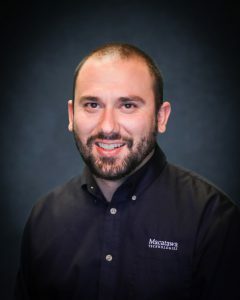 He loves his role with MT because he feels that there is a great team of experts helping him understand how to help our clients achieve their business goals through IT. Gabe graduated from Hope College with a degree in Religion. He also lived in Nigeria for 2 years during his last few years of high school. His favorite hobbies include walking his dogs around Holland with his wife and taking trips to Bellaire, MI for Shorts Brewing Company and nearby ski slopes. One day he hopes to start his own business. 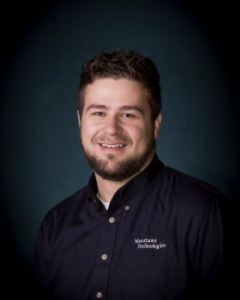 Tony began working at Macatawa Technologies as a technician and has been promoted to an account manager. He has been in the IT industry since 2006, and is a Microsoft Certified Professional – specializing in Microsoft Operating Systems as well as the Microsoft Office Productivity Suite. He is also certified in WatchGuard Security Appliances and Digium & Toshiba phone systems. Tony enjoys providing exceptional service to our customers while offering both a business and technical perspective. Tony’s interest in technology started at a young age when his family purchased their first computer. That interest turned into a passion and career in the IT field. Outside of work he can be found drinking coffee, listening to music, snowboarding, playing drums, and mowing the lawn. Matt is our go-to guy for many of the aspects of our services and has been in the industry since 2006. He specializes in supporting and configuring virtualizations and telecommunication systems. He has a degree in Telecommunication and an AAAS (Associate in Applied Arts and Sciences) in manufacturing engineering. Matt grew up in West Michigan where he enjoys being outdoors. Some activities that he loves are camping, hiking, biking, fishing, and traveling with his family. 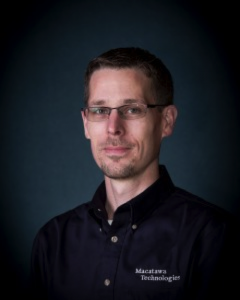 Andrew started with Macatawa Technologies in 2013 and has a wide range of IT skills from wired/wireless networks to servers and telecom products. His main passion is in network infrastructure design and implementation. He has an Associate’s of Applied Science degree from Baker College and several IT certifications. Andrew loves his job because it is challenging; he likes solving problems and finding solutions to increase efficiency and performance. In his free time, he enjoys spending time with his wife, three daughters, and dog. His hobbies include hunting, fishing, basketball, photography, SCUBA diving and auto mechanics. Seth has been in the IT industry since 2007. He received an Associate’s degree in Applied Science with a major in computer programming and a Bachelor’s degree in Computer Science. He specializes in Apple products and can typically solve the issues very quickly but is also well-versed with Windows. Seth grew up in Anchorage, Alaska until he was 21. He has always been interested in computers and enjoyed learning how to use them or fix the issues so he wouldn’t have to rely on someone else to fix it. He also taught himself how to play piano by memorizing a song he liked. He memorized a few more and then continued learning by taking lessons with his Dad over Skype. He currently resides in Fremont with his wife and two children. 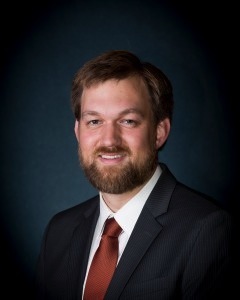 Jared has been in the IT industry since 2008, previously administering and managing networks and systems for newspapers across Michigan and Illinois. 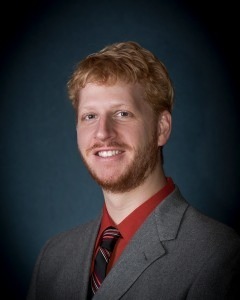 He is currently pursuing his bachelor’s degree in Computer Information Systems from Ferris State University. He grew up in Stanton, MI and enjoys road biking and mountain biking. One cool fact about himself is that his wisdom teeth came in when he was 11 years old. His first computer was an IBM PS/1 with an Intel 286 that ran at 10mhz. Eva is the voice of Macatawa Technologies. 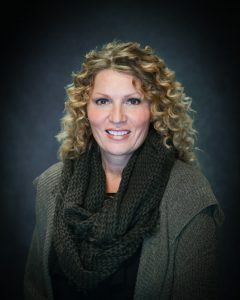 She controls all of the team’s schedules and will be the first person our clients hear from when they have an issue with their business’ IT. Before working at Macatawa Technologies, she was a preschool teacher and a preschool aide. Her favorite part of the job is her team and the work environment. Eva’s hobbies include sewing, decorating, hiking, and relaxing on the porch swing with a good book. A cool fact about her is that she grew up in Hamlet, Indiana and played basketball for Grace College. She lives in Holland with her husband and two daughters. Doug has over 20 years of experience in the IT industry. 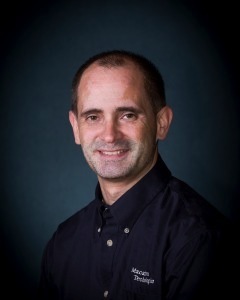 He is experienced with Windows servers and client systems, Dell hardware, WatchGuard and Sonicwall firewalls and a broad range of other products and services. He is certified with Dell hardware and HP printers as well. He began being interested in IT in 1992 as a hobby and it grew from there. Doug and his wife reside in Grand Rapids with his four cats, Gretel, Yoshi, Watson, and Jack. Doug is an avid cyclist and has taken part in the RAGBRAI across Iowa four times. He also likes reading in the backyard with his wife and being part of a team of friendly, supportive people who believe in a great community. Kallie is the glue of our company. She keeps things together and keeps them moving. 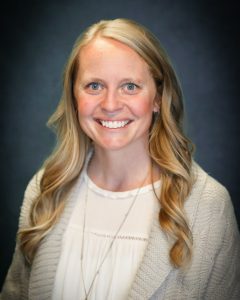 Kallie has become a “mini tech” where she can help with basic troubleshooting issues and translating the tech language so our non-technical clients can understand. She loves the job because every day is different and there is always a new challenge for her to help solve. Kallie attended Clemson University where she received her degree in Business Management. She also swam for Clemson and held an ACC record. She spent a few years in Vail, Colorado with her husband, (and college sweetheart) Steve. They live in Grand Haven with thier two daughters and a golden retriever named Tucker. Kallie enjoys relaxing on the beach or a boat as well as biking, hiking and skiing. Macatawa Technologies is a growing company and we’re always on the lookout for new talent. If you have a passion for technology along with a desire to solve problems mixed with a dose of inquisitive tinkering, then tell us about yourself! We would love to hear from you. To contact us regarding employment, go to our Contact page.